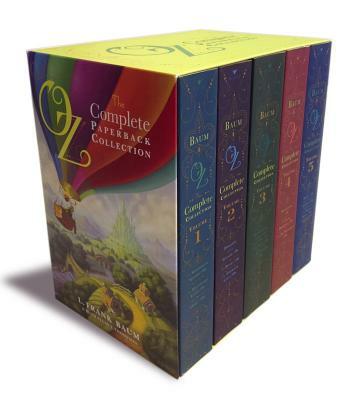 The definitive Oz experience: Immerse yourself in the wonder of Oz in this keepsake collection of fifteen titles from L. Frank Baum’s cherished American fairy tale series. Lyman Frank Baum was born in Chittenango, New York, on May 15, 1856. Over the course of his life, Baum raised fancy poultry, sold fireworks, managed an opera house, opened a department store, and an edited a newspaper before finally turning to writing. In 1900, he published his best known book The Wonderful Wizard of Oz. Eventually he wrote fifty-five novels, including thirteen Oz books, plus four “lost” novels, eighty-three short stories, more than two hundred poems, an unknown number of scripts, and many miscellaneous writings. Baum died on May 6, 1919. He is buried in the Forest Lawn Memorial Park Cemetery, in Glendale, California.